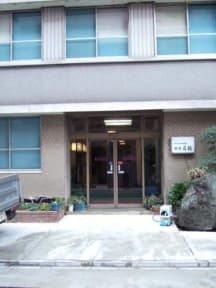 We are a comforatable, affordable, friendly Japanese style inn in Nagoya. We are conveniently located in the center of Nagoya city. Situated in Kamimaezu, only 4 stops from JR Nagoya Station. Kamimaezu station has 2 subway lines (Meijo line & Tsurumai line) . 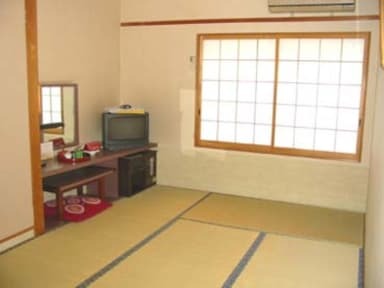 We have Japanese-style rooms thus they tatami floor on the floors. All the rooms are without bath/toilet. (means shared bathroom) But communal baths are very clean and open for 24hours. We have gentlemen's bathroom and ladies bathroom, and as I said, both of them are open for 24 hours. *Please note that the capacity of one futon(bed) is 1 person. If you are a group of 2 people (eg. couples)sharing one room, please take 'Twin Prvate'. Internet access is available in the rooms (cabled). Please provide your own cables if you can. We only have limited number of them! We also have a public PC(Windows XP Pro) in the lobby however, please bring your own USB memory / portable HDD to save your file. It is only for browsing the websites. WiFi is available in the lobby. If you have your smart phones, ask the front desk for the password. We accept the most of the credit cards. Check-in is from 3pm and check-out is until 10am. Japanese breakfast is provided. Order in advance (after confirming your bookings.) or tell us when you check-in. 630yen per person. Parking fee: 630yen per car per night(however there is a limit of height! Below 1.9meter otherwise your car roof will bump the ceiling!